The word anawim is a Hebrew word that refers to the faithful remnant who have remained loyal when many others have fallen away. We choose this as the name of our store to signify our desire to always remain faithful no matter what trials await us. Our store has a wide selection of religious devotional goods and gifts, hand painted statues from Peru, books, sacramentals, rosaries and much, much more. We have 100% beeswax candles made by a local family. Your purchases help support the good work of OSMM, enabling us to continue offering healing retreats that help bring souls closer to Christ and His Divine Mercy. The store will be open at all Retreats. You can order online. Call Ann for information on our products or for ordering. 618-267-3876. 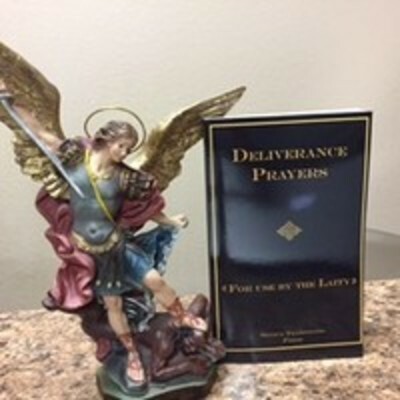 This new book is filled with prayers for deliverance and for use to protect yourself and others from spiritual attack. 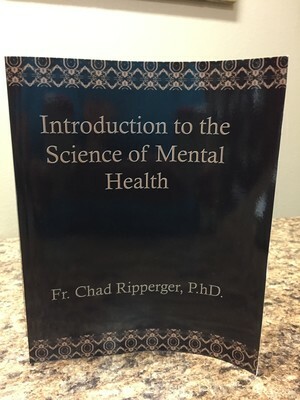 It contains an explanation of who can use the prayers and in what context. By saying the prayers correctly, you are protected from retaliation. Fr. R explains in detail about staying within the authority of the Church. The book also contains prayers of devotion, prayers for healing and the prayers of Auxilium Christianorum. The appendix contains prayers to break the Freemasonic Curse, and a thorough Examination of Conscience. In 1878, the stigmatic Marie-Julie Jahenny, received during a state of ecstasy a request for a new scapular. Our Lord and Our Lady requested this scapular as a privilege that will lead people when the world faces the Wrath of God. The scapular measures 3 1/2" by 4 1/2" and it may be worn or displayed in homes or chapels. Includes pamphlet explaining its use. This scapular is promoted by Fr. 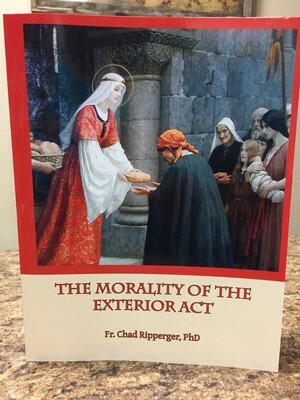 Ripperger as a sacramental to protect your home in time of spiritual warfare. 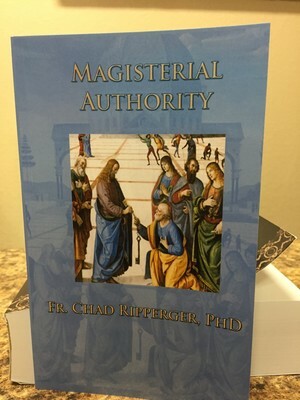 A beautifully written book that explains the symbolism and actions of the Extraordinary Form of the Mass (Latin Mass). 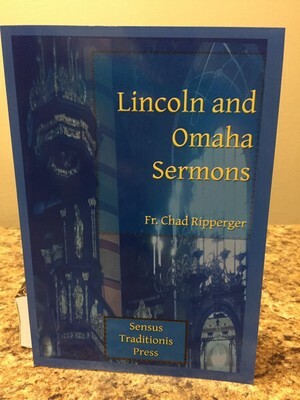 Explanations of the art, architecture, and the liturgy are all in one book. 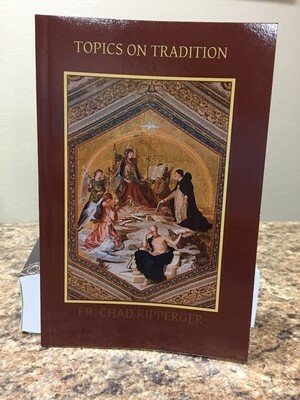 Great for those who have just discovered the Latin Mass and for those who are already attending the Tridentine Liturgy. The “1962 Daily Missal” contains the English translations and the Latin originals of the rites and texts for Holy Mass and many other liturgical ceremonies. The liturgy of the 1962 Daily Missal is better known as the “Tridentine Mass” or “Extraordinary Form of the Roman Rite”. 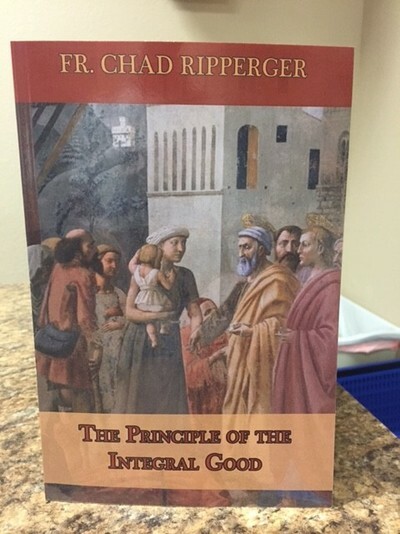 This book is a result of the writings of a Benedictine Monk as he prayed and grew in the spiritual life. 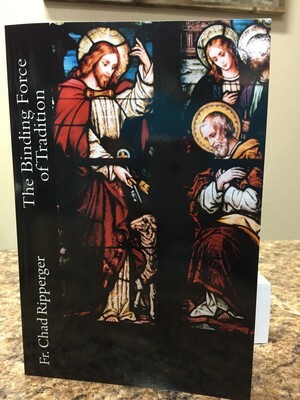 It explores the power of Eucharistic Adoration, the practice of prayer and developing a deep personal relationship with our Lord, the beauty of the sacraments and the priesthood. 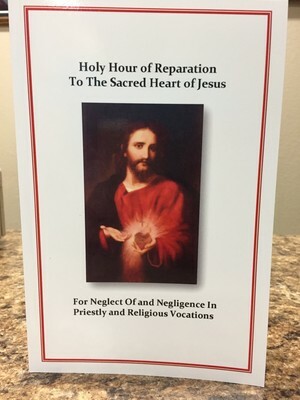 Originally published in English in 1957, it is the official collection of the Church's indulgenced prayers and devotions. Includes prayers to God the Father, the Son and the Holy Spirit, the Virgin Mary, and the Saints. Also prayers for the faithful departed and other special groups. Scripture recounts four messages St. Joseph received from an angel of the Lord while he slept. This beautiful made 10" statue of St. Joseph will remind you to rest and let God work his plans in your life. The devotion says to simply place a peace of paper with your prayer intentions underneath the statue and let the intercession of St. Joseph bring it to the Lord. We have drastically reduced this price to $45 including S/H in the US. Order yours today!